My mother in law is the BEST! I got my mother’s day gift in the mail today. I can die happy now. I can finally be like Cally, is some small way. sporting the initials of the loveliest girls in the world. A for Abigail, S for Sophia, and I for Isabella. And E for me being Ecstatic! thats awesome you’re even more cool now! Oooh, oooh. I love the little circles. Awesome. I want to see it for real. Come over tomorrow. wow that is a must have…I will need to check that out! oh how sweet! you deserve it! So beautiful! Has she been reading your blog for ideas? Brilliant. 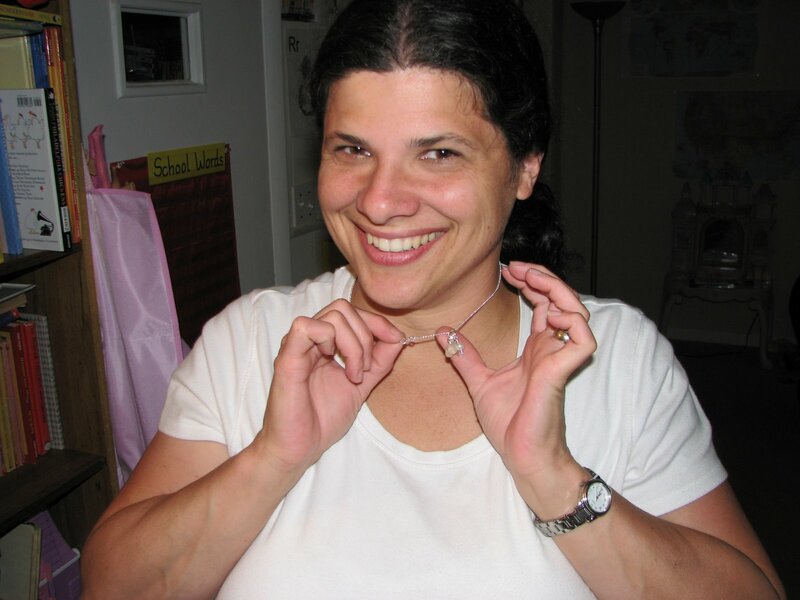 The necklace is pretty, but your smile is priceless. Your picture made me smile, even now. nice. 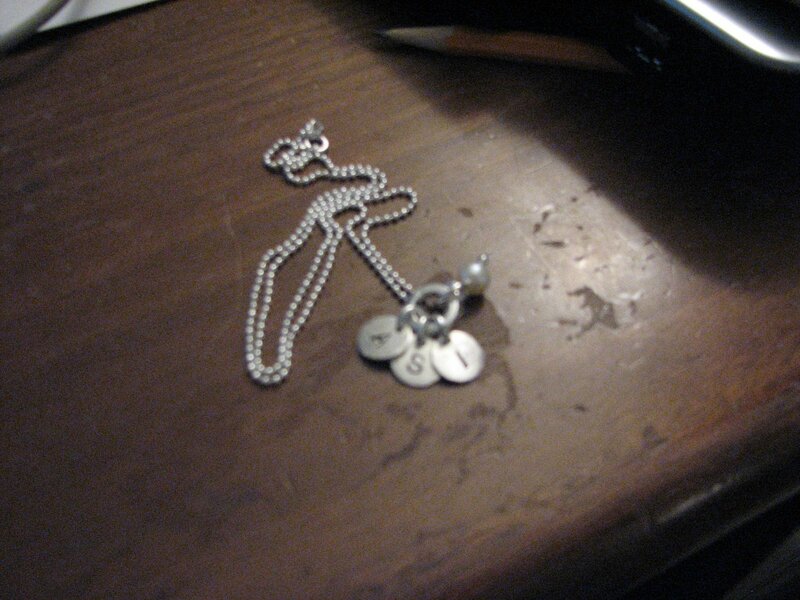 i have the “old” version of that which are big dog tags with my kids names and cartoon photos–not a pretty sight. plus i am missing one kid, so they have had their day.i would be all about these, though–classy. Beautiful. I love her work. Now if only someone got the hint that I wanted one too….too bad he doesn’t read this.